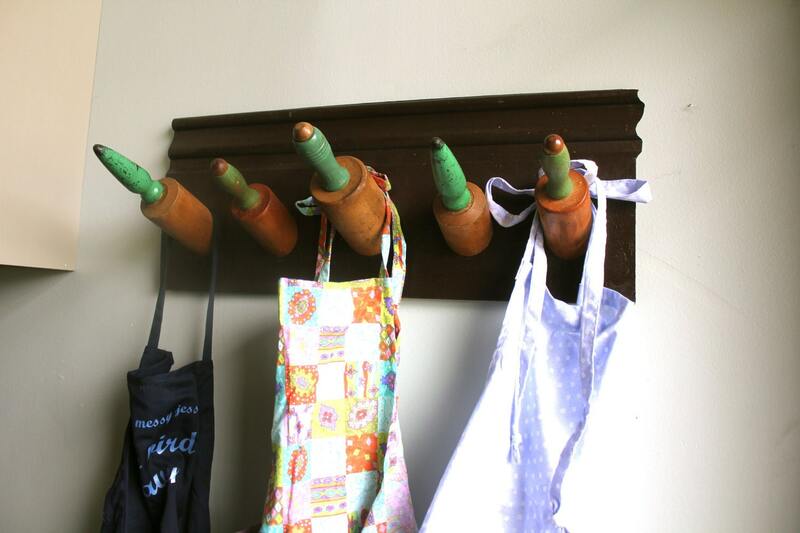 A collection of rolling pins repurposed to create a functional art hook rack. 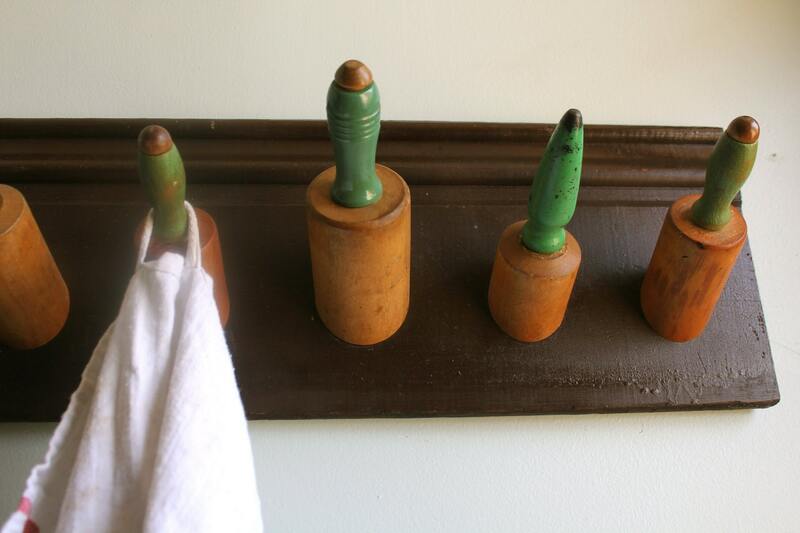 This beautiful dark brown baseboard has five green handled rolling pins attached at an angle to hang towels or kitchen accessories. 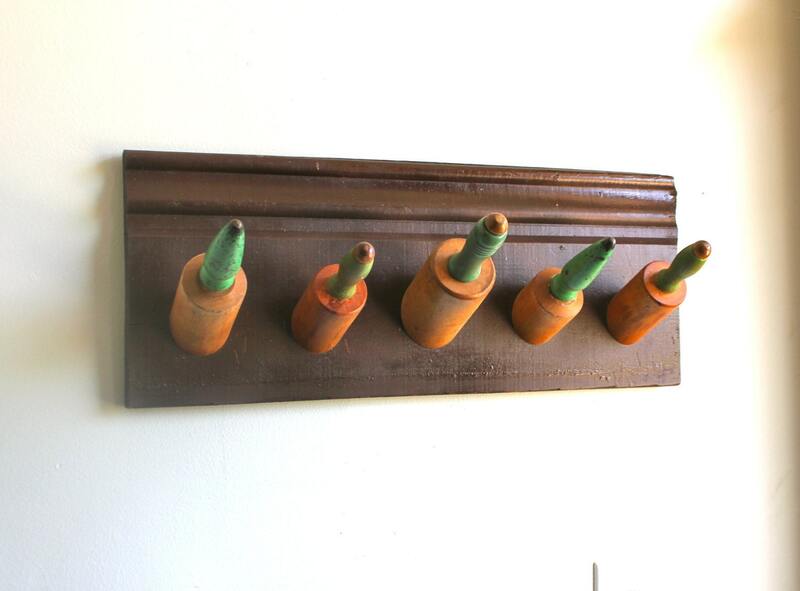 Clothing, scarves, and other accessories will hang beautifully from this piece as well. 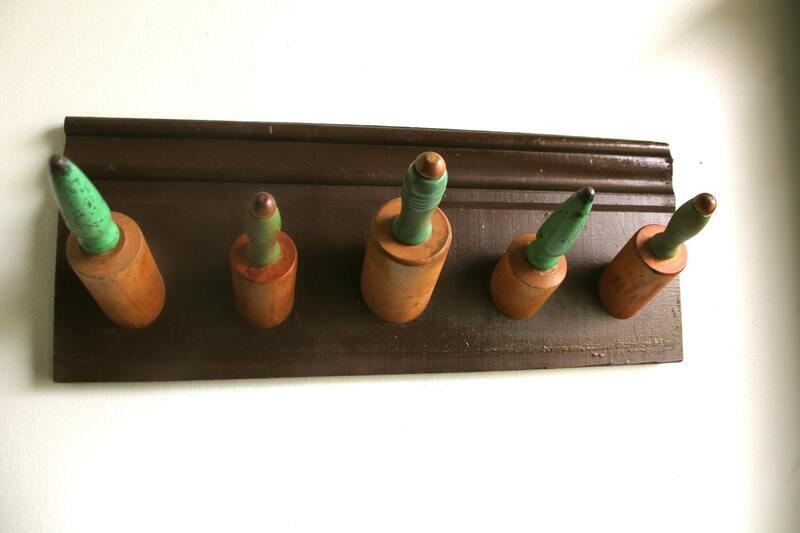 Five very beautiful Green rolling pins make up this one of a kind piece. Size approx. 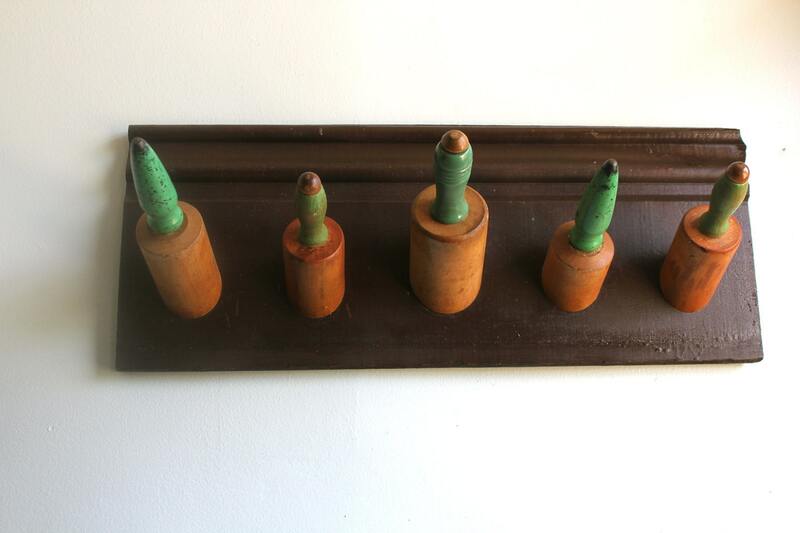 26" x 12"
Rolling pins stick out about 5" from the wall. Tea towels for display only. Ready to ship... will ship within 48 hours of purchase.